Here it is the final instalment of our 2018 Europe adventure. 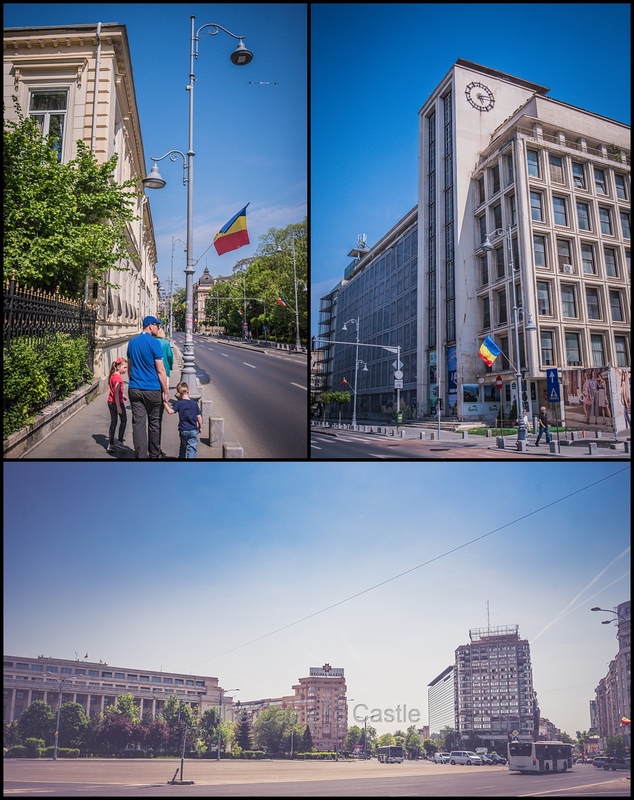 A last day in Bucharest, Romania, enjoying some sunshine, parks and delicious food and the journey home via Qatar and Sydney. It was the last day of our 5.5 week holiday, before a very late night departure. Of course after weeks of the kids mostly waking early we all slept in until after 8.30am, always the way! We had another relaxed breakfast of toast and eggs and then did a little packing for the journey home. Somehow, despite sending plenty of things home with Granny from Paris, and not really doing much shopping in Iceland, Scotland or Romania we were now in 4 bags (we came over in 3). It appears that most of it was food purchases and the kids souvenirs. It was another nice day outside so we decided to make the most of our last day, and set-off mid-morning for a wander in the opposite direction to the previous day. We walked down leafy streets and past plenty of pretty buildings amongst some broken and boarded up ones! 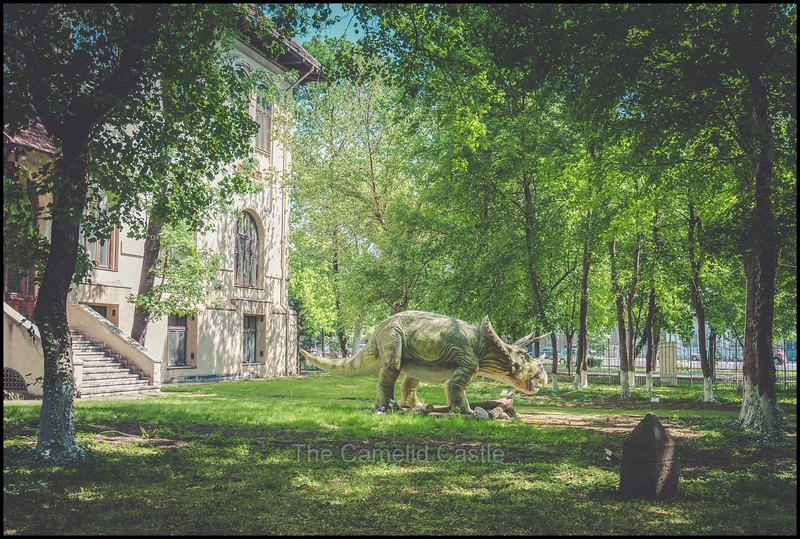 The science museum with a statue of a dinosaur in the garden caught the kids attention…. 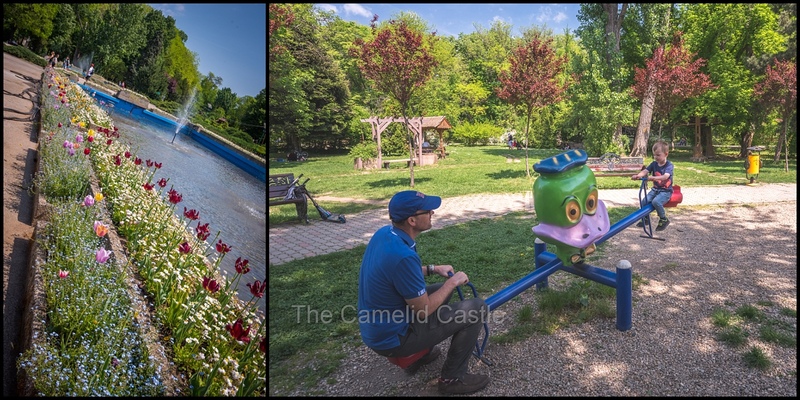 Today we stopped at one of the many large parks we passed, and figured we might as well let the kids have a play. 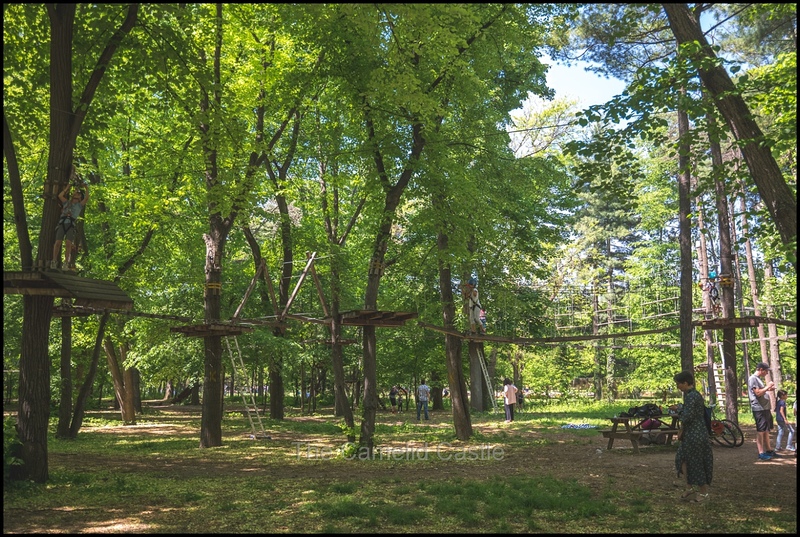 Within the city area there are plenty of leafy green parks and they are excellent with big play areas. 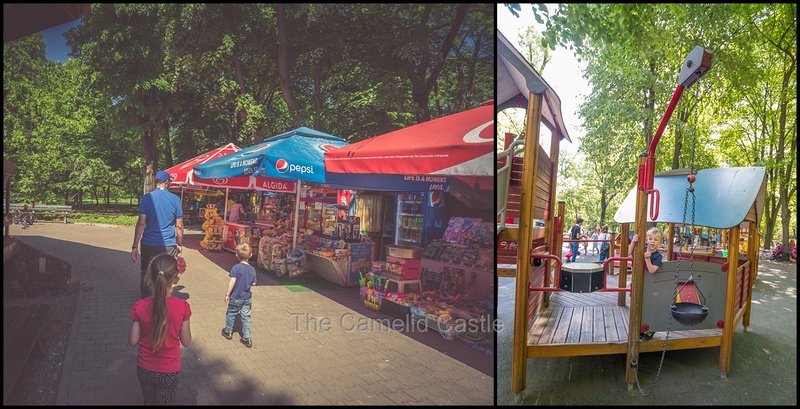 Most of the parks sell ice creams, drinks, popcorn, bubbles and various rides. Being a Saturday morning there were plenty of kids out playing in the Spring sunshine. 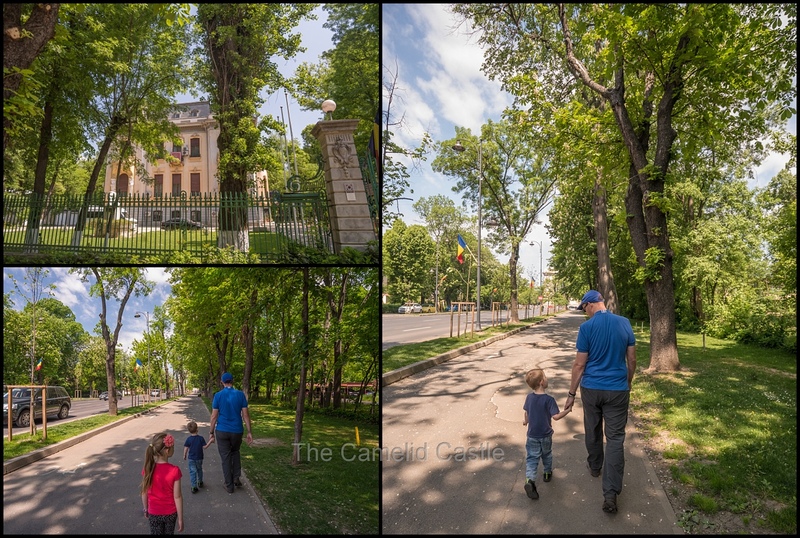 As we walked down one of the main boulevards, we enjoyed the shady trees as we passed plenty of embassies. 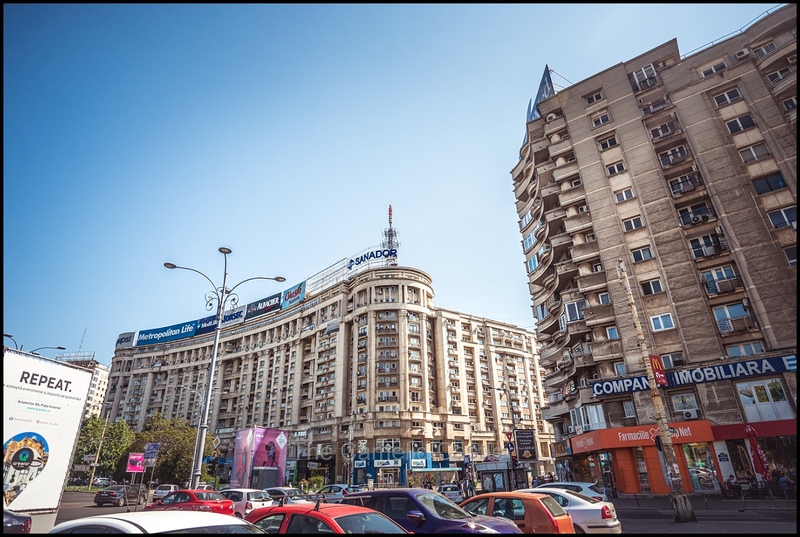 Our next stop was Bucharest’s own Arc de triomphe – the Arcul de Triumf is a triumphal arch located in the northern part of Bucharest. 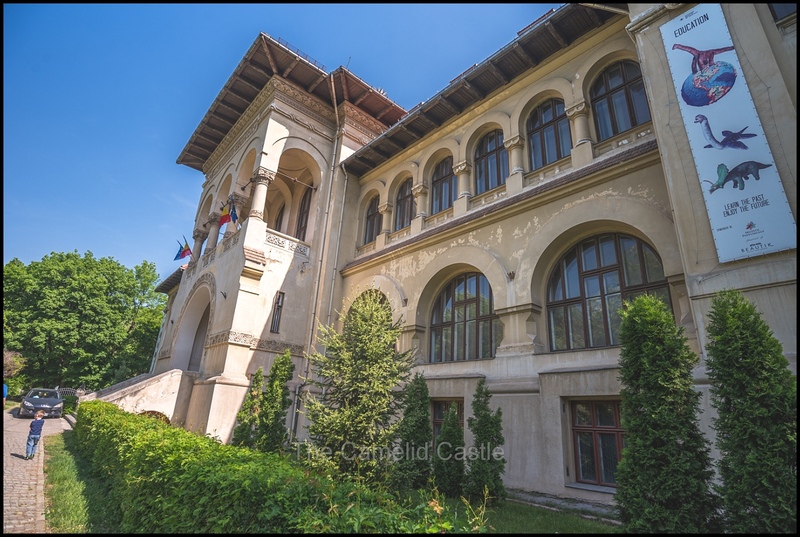 It was originally built as a wooden version in 1878 when Romania gained it’s independence and replaced with a much fancier version in 1935. On December 1 every year military parades are held beneath the arch for Romania’s national holiday. While the arch did look remarkably similar to the versions in both Paris and Rome, the circle surrounding the arch was no where near as busy with traffic as it’s Paris counterpart. Just across the road from the arch was yet another park, even bigger than the last one. This one was surrounded by pretty gardens with the last of some Spring blooms. We had a quick wander past the gardens and let the kids loose in the play area. It was now after 1pm and very bright and warm in the sun. Unfortunately this park did not have a lot of shade so after awhile we had to drag the kids away before we all got roasted! As we walked back out the other side of the park there was a very cool flying fox and rope section of the park (which did have an admission fee). Plenty of local kids were enjoying it and it seemed rather popular. 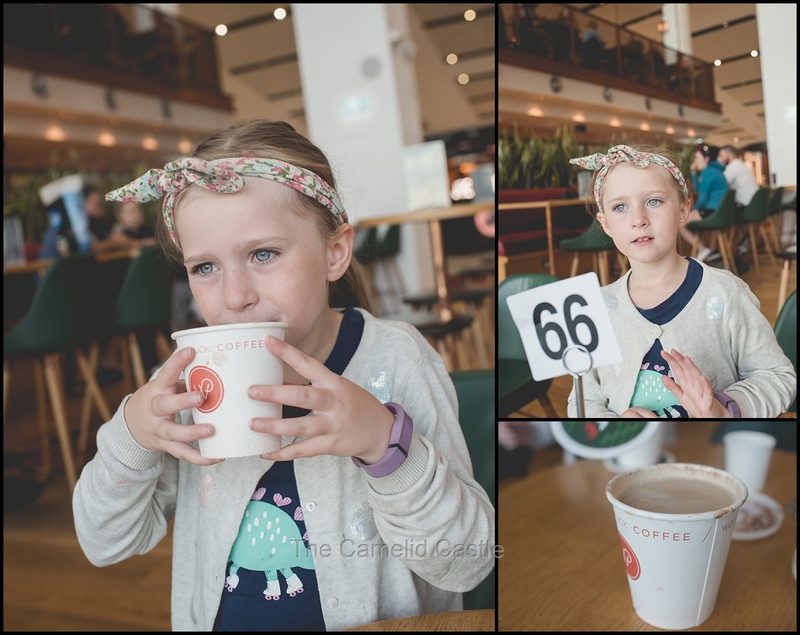 We had to convince the kids it was definitely time for lunch rather than elaborate flying foxes and rope mazes. It was a 20 minute walk to a restaurant we’d selected for lunch ‘A taste of Beirut‘ which had good reviews. 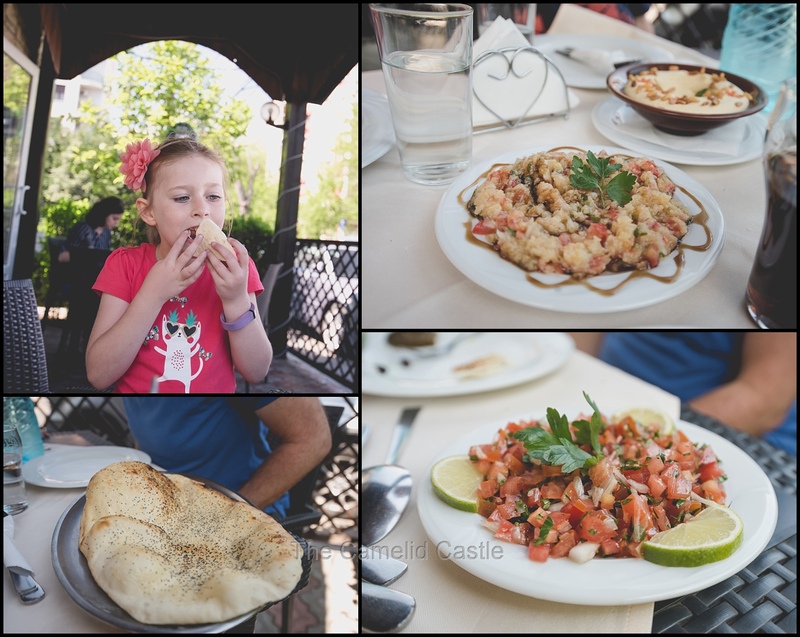 It was indeed excellent and we sat outside enjoying babaganoush, hommus with pine nuts, Turkish tomato salad, wonderful hot freshly cooked bread, fried eggplant with lime, falafel and kebe. The waitress had suggested we may have over-ordered but it was all so delicious that it quickly disappeared into our hungry tummies! 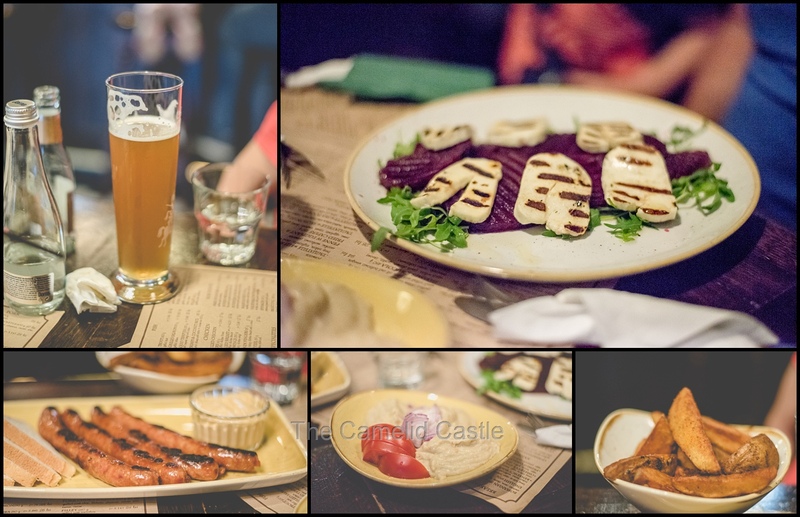 Again it was a wonderfully cheap meal and we were certainly enjoying eating in Bucharest! It was now about 3pm. 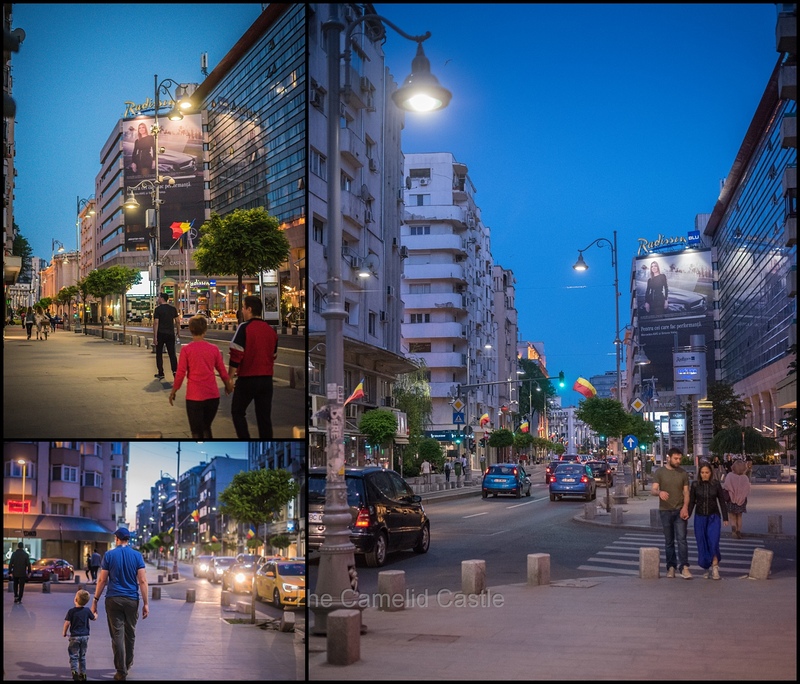 We debated investigating the public transport system but it wasn’t only a few kilometres back to the apartment and given we were about to be sitting on planes for a very long time, a 40 minute wander back through the streets to the apartment didn’t seem like a terrible idea. After a big day of walking and plenty of sunshine we were all weary so bedded down for a nap at around 4.30. As the Bucharest apartment was rather cheap by Aussie standards we’d booked it for an extra day to allow us to have somewhere to hang out and nap before our late night departure. There is nothing worse than having to fill in an entire day with luggage and kids with no hotel! We eventually convinced the kids to make the most of their last opportunity to nap, and we all got at least an hours sleep but were all up by 6.30pm, not really enough rest before the 30 odd hours of travel. We decided we really should go out for dinner, despite no one being all that hungry from our rather large and late lunch. It was going to be the wee hours of the morning before we got any food on the first of the flights and we still had several hours to fill in, so why not eat! We walked back to the local pub we’d visited on the first night ‘Primus‘. We again ordered the sausage dish the kids had loved the first night, along with a haloumi and beetroot salad, a smokey roasted eggplant Romanian dish and some wedges. Again it was delicious but this time we only got through about half the food. With the last minute packing and a shower each we moved the bags downstairs and our driver arrived on time at 10pm. The Airbnb host had organised us a lift to the airport to compensate for the apartment change, so it saved us a taxi fare which was handy. It was a much quicker to the airport without peak hour traffic and we fairly quickly checked in. The only hiccup was Qatar not liking the shape of one of our bags (the same one we’d travelled with plenty of times on this trip, including on Qatar flights). After having them wrap it in plastic, it was finally on it’s way, and we wandered through the rather quiet airport to see if we could get into the lounge. The was no Qantas lounge in Bucharest but we ended up being let into the shared Tarom lounge as it was quiet. It was a pretty average experience with only chips and a few drinks available but it was quiet and something to do waiting for our flight. Around midnight and it was off to board the flight to Doha. It turned out to be a mostly empty flight. We were in row 9 and there wasn’t any one on the plane in front of us, business class was entirely empty. We did have a person in the window seat next to Astrid and I, but I asked if he wanted to move after take off so Astrid didn’t end up squishing him. He was more than happy to oblige and get a row to himself. After the 12.30am departure the crew closed the empty business class cabin curtains and spent the entire flight chatting and eating snacks as they had no passengers! Our economy crew also had a fairly light work load with a mostly empty plane. Soren in his over-tired state was chatting non-stop, and then all of a sudden collapsed asleep, just before his meal arrived. Astrid, as usual, hung in and ate her meal before agreeing to nap. Again the Qatar meals were quite good even if we didn’t need another dinner at 1.30am. Unfortunately the older A320 we were on was not that comfy, there were no TVs and the seats didn’t recline all that well. Still we all tried to doze a bit between the bouts of turbulence, and the kids only woke up on descent when we sat them up. Soren ended up getting around 4 hours sleep and Astrid maybe 2.5 hours. Anto and I fared less well, only managing maybe half an hour and some dozing. We landed in Doha prior to 5am as the sun was rising (there is no time change between Bucharest and Doha) and it was already 29 degrees. We had to be bussed over to the terminal and go through yet another security re-screen. Our flight layover had been pushed out to 4 hours so we decided to go and try our luck again with the lounge, expecting only Anto and 1 kid would get in. The kids had been negotiating which one got the lounge and which one had to hang out with mum on this leg. Our luck was in though, and the lounge staff didn’t blink and let us all in to the Qatar lounge. With some coffee, breakfast and somewhere to hang out for several hours we were rather pleased. It was time for the long leg back to Australia. The flight boarded at around 8.30am local time but took quite awhile to board. We again had 4 seats across the middle in the cabin, just behind business class, and had seen the flight was quite full so had no chance of a spare seat. The flight was a little delayed in taking off and it was after 9.40am when we were in the air. 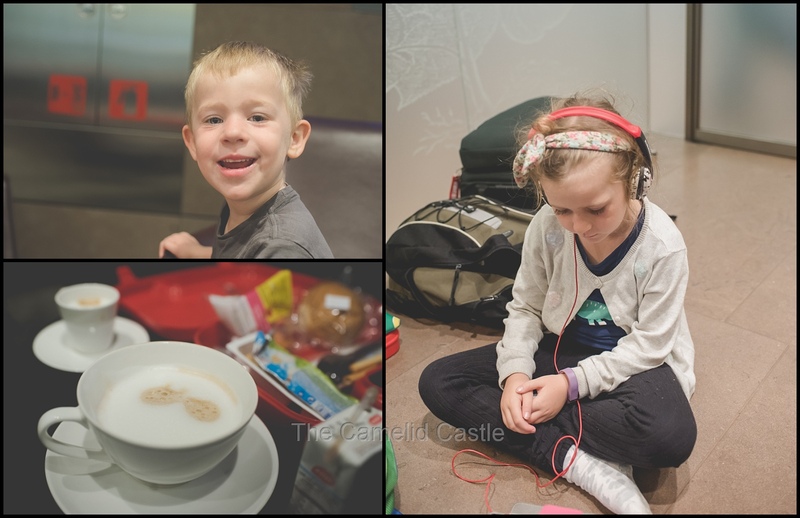 We settled in for a very long flight (almost 17 hours), all feeling not too awful after our walk around Doha airport and some food and coffee. The first part of the flight passed quickly while we watched some movies and ate our meal. All feeling weary we all managed a small amount of sleep but only around an hour for the adults and slightly more for the kids. By 5 hours in, the flight started to drag, more movies, colouring for the kids, more snacks and not a lot of sleeping. By 8 or 9 hours in, after lunch, we all tried sleeping again. Soren did OK, Astrid refused. She’d pulled the same stunt on the legs over to Brussels and ended up crying into her waffles on the first day of the trip, but didn’t appear to have learnt her lesson. She was now extremely over tired so the adults didn’t really managed any more sleep as she was so restless. I did manage to watch 4 movies and a documentary but wasn’t feeling all that chipper. We were all somewhat relieved when breakfast was served a couple of hours before landing (at 4.30am Sydney time). The meals had been great on Qatar and the kids got a lot of food and fantastic variety. I got excellent vegetarian options and there was also always a veg option on the main menu. Post-breakfast we gave up on sleeping and were looking forward to landing. 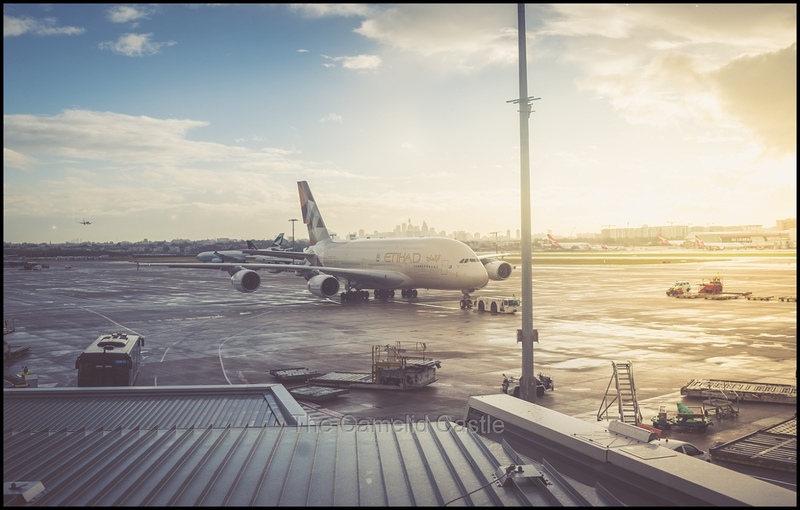 We came into Sydney as the sun was rising but were a little delayed in landing making it close to 17 hours on the plane by the time we disembarked. The plane was parked at the freight terminal, which meant a bus over to the international arrivals, further delaying the process. The plane looked pretty trashed as we got off and we wondered how much cleaner it would be when we re-boarded for the short hop back to Canberra. The people going onto Canberra had to immediately re-screen through security. Again we had no luck getting us all into the Qantas lounge. It’s fine when we are on a Qantas flight but they are strict with only 1 guest for Qatar codeshares. Somehow I got punished with the non-sleeping Astrid while Anto took the better behaved Soren into the lounge. Astrid and I went and found a bathroom and brushed our teeth and hair before I handed over the equivalent of an entire meal in Bucharest to purchase a coffee and hot chocolate at a nearby cafe. As we drank our hot drinks we watched planes come in and were thankful it wasn’t much longer until we were home. We only had about 40 minutes before our flight was re-boarding so we met the boys and walked down to the gate. As expected it was a remote gate as we doubted the plane had moved. Of course we then spent 40 minutes after the boarding time waiting to get back on the bus and back over to find the plane, which had not moved. The cleaning crew were just getting off and it was at least much cleaner. Unlike the flight over to Doha from Canberra, there were far more people on the return flight, including the Australian mens volleyball team who were all insanely tall and squished into economy seats. There wee probably at least 70 odd people flying on to Canberra, but it still barely made a dent in the seats. Given it was a short flight we didn’t bother spreading out. It took forever before we were pushing back. The flight time was 31 minutes but we had well over an hour 20 on the plane which gave me time to finish the movie I’d not quite finished from the previous flight. Eventually we were in the air and both kids both fell asleep, and I’m sure I was micro-napping. We were on the ground around 10.20am, again a bit late, Luckily no bus is needed in Canberra but we did have to go through immigration which was slower than on the way out. We also had to declare our boots we’d hiked with in Iceland and Scotland and the adults boots were declared clean enough, but the kids needed some treatment even after we’d attempted to scrub them in Romania. Once that was taken care of, it was out to the patiently waiting Trevor who ferried us home. We were finally home about 11.40am, 30 hours after leaving our Bucharest apartment. Anto did an emergency dash to the shops for some lunch supplies and we all dived into our own beds for a short nap. With only 2 hours sleep since Saturday morning (it was now Monday afternoon), and Astrid’s Fitbit confirming just over 3 for her we were all delirious and the room was spinning. Anto and I managed to drag ourselves up when our alarms rudely went off and inhale coffee, the kids took a lot more convincing! 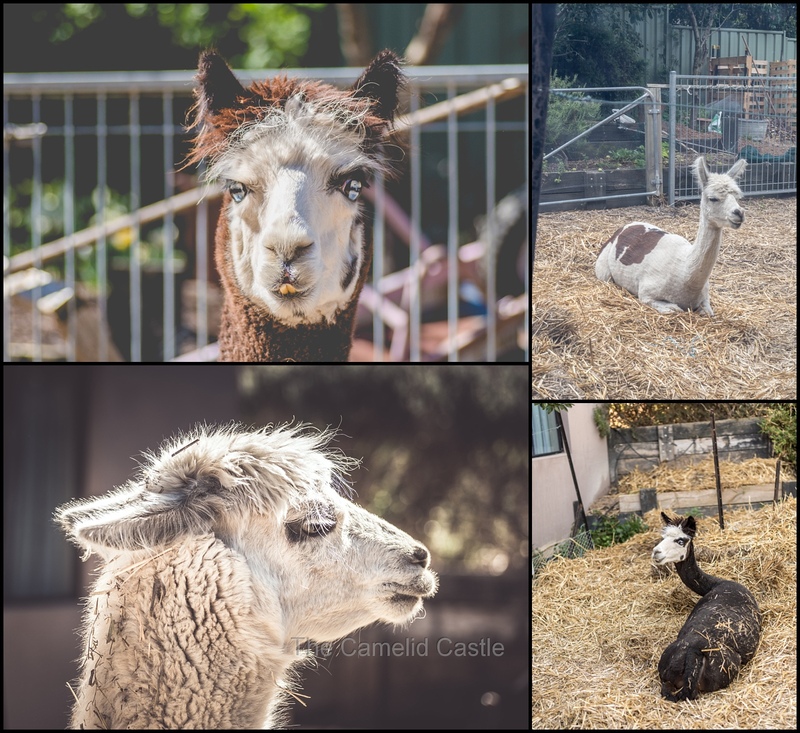 Once awake they did happily rediscover all their toys and space while we did some quick tidying of the alpaca area and got plenty of cuddles from Inti and Chimu and started the unpacking and washing. 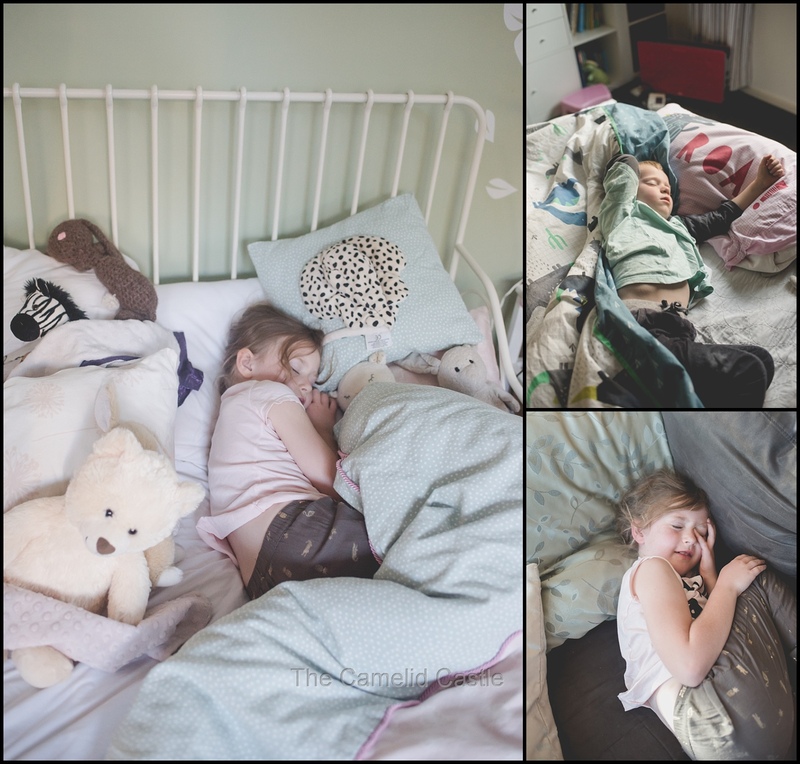 All very weary after 5.5 weeks away and the long trip back, the kids were in bed for the night by 6.30pm and Soren didn’t reemerge until 8.30am and Astrid 11am the next day (when she immediately requested to go to school)! 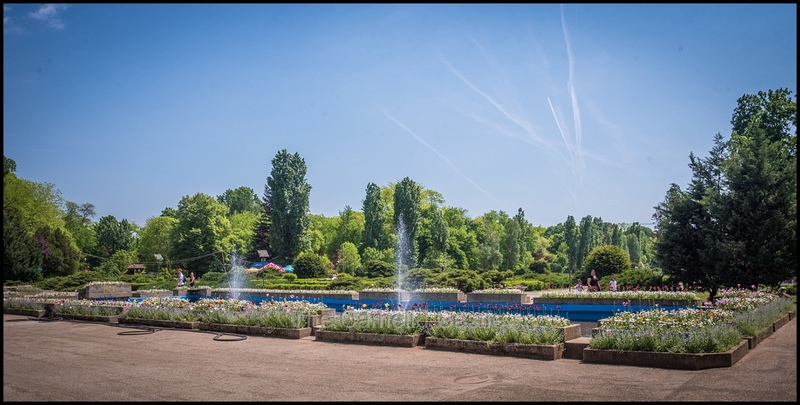 Daily Statistics for the 28th – 30th of April: We spent Saturday the 28th in Bucharest and the temperature range for the day was a very pleasant 10 to 25 degrees and sunny! Our nicest weather for the trip was probably Bucharest, where we got consistently lovely Spring temperatures. The total walking for the day was an impressive 14.3km, helping to burn off some of that delicious food! We Spent the entirety of Sunday the 29th on a plane and in airports, so only managed 1.7km of walking but an awful lot of sitting still. Monday the 30th of April we arrived in Sydney to 14 degrees. By the time we made it back to Canberra it was 15 degrees and made it to 19 degrees in the afternoon, significantly warmer than we’d had for the whole trip, bar the last couple of days in Bucharest. Our total walking for the last day of the trip was 4.8km (mostly in airports!). 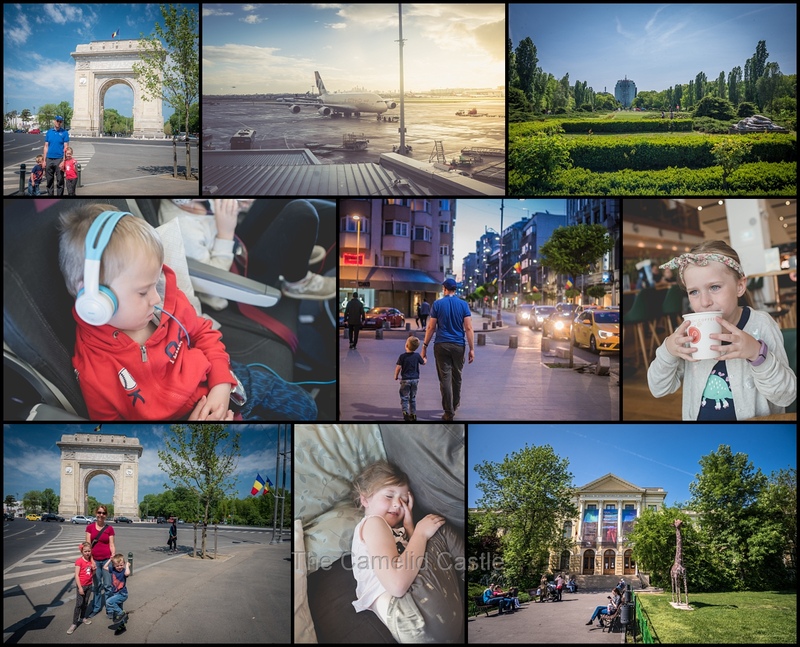 Posted in 4 years, 6 years, Anto, Arcul de Triumf, Astrid, Australia, Bucharest, Canberra, Europe, Flights, flying with kids, Park, Qatar, Romania, Soren, Spring, Travel, travelling with kidsBookmark the permalink.